One of the best ways to find success in the digital age is with a social media presence. With a few basic guides, your dealership can be hashtagging with the best of them. Here are thirteen car dealer social media tips to help improve your dealership’s online presence. Your dealership should be on social media, but don’t start before you’re ready to commit. The upfront cost is low but the cost in time and energy is larger. You can’t just “make it and forget it” and expect to see the ROI. Once you decide to commit, determine what you want to accomplish on social media. Forget sales (we’ll get back to that in a minute)—what is this account’s mission? Social media is about engaging, educating, and entertaining. Decide what you are and stick to creating content that does that. You’re a human being, and so is everyone else on social media. If your tweets read like a robot wrote them, if your images on Instagram look like stock image photography, if there is no real life to your accounts—people will notice and stay away. Technically, social media is a marketing stream for you; however, you shouldn’t be selling. You’re a part of a community; making yourself into a person people want to buy from, so when it comes time to buy, they come to you. Car dealer social media takes time, right? Well, part of that is because you need to stay in touch with your followers. That means writing back when they comment on posts. Engage in conversations in relevant communities. Even if all you say is, “Thanks!” you’re letting people know you’re around and paying attention. Social media is an all-the-time thing, which is why you have to give it attention. That means you’ll have to watch it outside dealership hours. You don’t want to let negative comments or timely questions just sit there all night. Even if you start with just one person, plan to grow a dedicated team. People can trade off overnight responsibilities and support one another into making your presence shine. Don’t have the resources for that? You may want to consider hiring some experts to help. You might be new to social media but you’re an expert in vehicles, so share valuable information with confidence. Answer questions with thoughtful answers. Share your unique knowledge and gain authority. Use your traditional marketing streams to support your social accounts. Always provide your handles in your brochures, posters, etc. ; you want people to engage with the community after an ad because it’s less investment for them than buying a car—but it may one day lead to the purchase. Remember your goal? Focus on that. Don’t jump on a social trend unless it fits your goal. Some social campaigns will fail; it just happens. Learn to move on from those that fail and try again, better, next time. 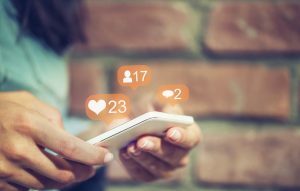 By following these thirteen car dealer social media tips, you’ll turn around your dealership’s online presence and improve your bottom line.